I’m SJ. I act, write, and produce funny videos with my comedy duo SJ&GINNY. Cuz you probably want to know, SJ stands for Samuel Johnson, my white male alter ego who works in futures trading and juggles one real family and one secret family. 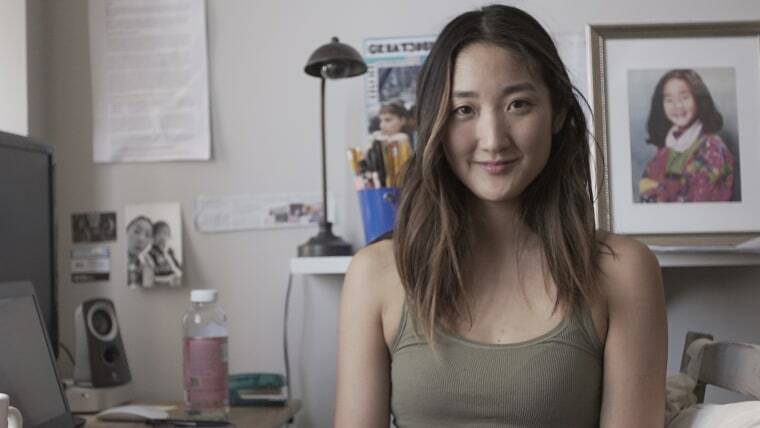 Fearless Asian-Americans who work to change the world and give few f**ks. Artists like Mindy Kaling and Margaret Cho, activists like Amanda Nguyen and Phil Yu of Angry Asian Man. Superheroes like Ash Ketchum of the Chronicles of Pokemon. I’m challenged whenever I meet another Asian-American woman who is really versed in Asian-American history and has exciting points of view on our place in society today. Each day, I am learning more and more about our history, our oppression, and the reasons why Asians are depicted the way they are today. But I know I have a ways to go. I’ve recently had the pleasure of meeting a bunch of super smart, talented, woke Asian Americans through the National Asian Pacific American Women’s Forum (NAPAWF), the Asian American Writers’ Workshop (AAWA), as well as in the Asian theater community in New York City. I like surrounding myself with people who make me feel challenged (but never judged). Three years ago, I quit my job as an advertising account executive/punching bag to become an actor and perform comedy. I had been working a typical full-time schedule, with a typical full-time salary (approved by my parents, mind you!) but I was super depressed. My only solace was going to improv practice and doing comedy shows at night. Completely changing my job and life was a big risk, but my Type A personality kicked into gear and I craftily planned my escape for, like, nine months before finally leaving. I used grant money I received from AmeriCorps (I had done Teach For America) to pay for acting school at Stella Adler and then got a job as an after school dance teacher and babysitter. After quitting, I made my first comedy video ever with my cousin, called Quittin Da Biz. It’s the best. When I die, I’ll order my distraught husband to play it on repeat on an iPad affixed to my tombstone. I’m reading "The Making Of Asian America" by Erika Lee and just finished "Difficult Women" by Roxane Gay. I’m watching: "Girls," "Homeland," and Rick Bayliss’ "Mexico: One Plate At A Time." I’m listening to the podcast Another Round With Heben & Tracy and the original Broadway cast recording of "Waitress" the musical, duh. ...Asian experiences are real and they matter.